One of UKBCCI directors Md harun Miah has been elected as the Vice Chairman of Shahjalal Islami Bank Ltd in Bangladesh. Businessman and established social worker, Harun Miah has long palyed a role in the field of social services. He is associated closely with many socio-cultural and social welfare organisations. 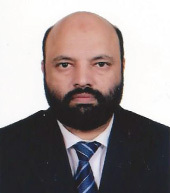 Amongst his several roles, he is one of the Trustees of the London Based Bangladesh Centre, Trustee of the Golapgonj Education Trust, Treasurer Al- Emdad Science & Technology Degree College, Donar Al-Emdad School & College and member of UK BATAA. Maih continues to have interests both in the UK and Bangaldesh.